Independent Gov. Bill Walker and Democratic Lt. Gov. Byron Mallott released a joint statement today opposing the confirmation of Judge Brett Kavanaugh to the U.S. Supreme Court. Their opposition comes amid mounting opposition and concerns raised about President Donald Trump’s pick for the Supreme Court that includes opposition raised by the Alaska Federation of Natives, new allegations that Kavanaugh sexually assaulted a woman while in high school and long-running concerns about how he’ll rule on the Affordable Care Act, pre-existing conditions and abortion. Health care was front-and-center in the statement released by Walker and Mallott, who made expanding Medicaid through the Affordable Care Act a key piece of their 2014 platform and unilaterally expanded it once in office. The two also touched on the sexual assault allegations facing Kavanaugh, which will take center stage on Monday when the Senate Judiciary Committee will hear from Kavanaugh and accuser Christine Blasey Ford. The opposition by Alaska’s executive branch joins many other high-profile opponents to Kavanaugh’s confirmation, adding to the pressure that Alaska’s U.S. Sen. Lisa Murkowski is feeling over the vote. Murkowski, a moderate who helped defeat the GOP’s haphazard repeal of Obamacare last year, will be a key vote to either defeating or securing the confirmation. Murkowski’s been quiet about her leanings on Kavanaugh and was one of a handful of Republican senators who demanded a hearing on the sexual assault allegations before a vote was held. That resistance delayed a committee vote that was planned this week, pushing it beyond the upcoming Monday hearing (which itself is not certain anymore). The importance of Walker and Mallott’s opposition to Kavanaugh extends beyond Murkowski, however, and reaches right into the governor’s race, where Democratic candidate Mark Begich has been pressuring his opponents to take a stand on Kavanaugh. 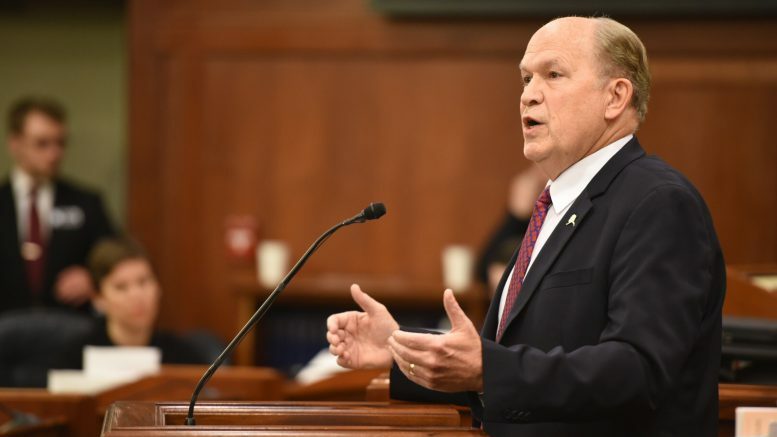 Though the governor of Alaska won’t have a role in the confirmation of Kavanaugh either before or after the November election, many progressives have argued that Kavanaugh’s potential to shift the court’s politics increases the importance of governors in backstopping changes to laws like abortion and health care. Begich responded to the news via Twitter, saying he appreciated their opposition but took issue with their timing. Be the first to comment on "Gov. Walker, Lt. Gov. Mallott announce opposition to Kavanaugh, adding pressure to Murkowski"